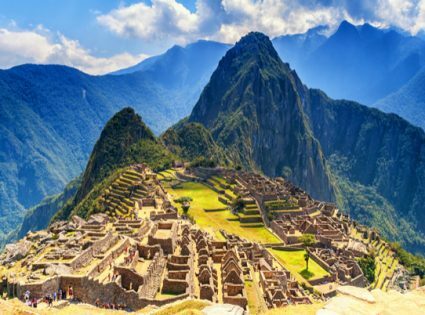 It’s easy to make a visit to Machu Picchu un-memorable. Arrive at 10 am, take a two-hour guided tour, pose for a few happy snaps, and return home with a memory full of rocks. But it doesn’t have to be that way. After two full-day visits to Machu Picchu in a single week (long story), I can tell you exactly how to make the most of a visit to Machu Picchu. This is the tall jagged mountain that stares down over Machu Picchu. Every morning, 400 lucky visitors are granted access to scale it for the best pictures in the house. More than the pictures though, climbing Huayna Picchu (aka Wayna Picchu) adds a huge dose of adventure to an otherwise cultural (read: sedate) destination. The climb isn’t technical, but it isn’t easy either. It’s quite strenuous, starting at an altitude of over 2,000m. It gets steeper and steeper until the route becomes almost vertical with rock-hopping over large boulders and squeezing through small tunnels. So, if you want to turn a visit to Machu Picchu into an adventure, wake up early, catch one of the first buses from Aguas Calientes, line up at the huts, write your name in the book, and head up towards the sky. I very highly recommend it. Like Huayna Picchu, the Inca Bridge offers a dose of adventure for your next Machu Picchu visit. However, in this case, the adventure is a little less strenuous, but a lot more death-defying. The Inca Bridge is a narrow path that winds along the side of the mountain with very little between you and a 580m (1,900ft) drop. It is partly cut into the side of the mountain and partly built up with a large tower of stones. There’s a 6m (20ft) gap in the bridge that was designed to be bridged by tree trunks that could be discarded to make the bridge impassable to outsiders. The bridge is absolutely worth a visit, even if you don’t trek all the way to the bottom. The Sun Gate is the pass up above Machu Picchu that hikers on the Inca Trail enter the ruins through. These hikers tend to leave their last camp very early in the morning to arrive at the Sun Gate to watch the sunrise and be some of the first visitors of the morning to the ruins. For those not entering the ruins via the Inca Trail, they can still hike up to the Sun Gate for a breathtaking view and to greet some of the hikers as they arrive. Although it’s not nearly adventurous as a climb up Huayna Picchu or a hike to the Inca Bridge, it gives a different perspective of the ruins and a view over the mountain from where the Inca Trail approaches. Buses depart up and down from Aguas Calientes on a very frequent timetable. But you don’t have to take the bone-rattling bus to get to the ruins. You can also hike up and down the mountain taking steep shortcuts between the switchbacks. Enthusiastic tourists used to hike up the mountain in the morning before the first bus to secure a spot to climb Huayna Picchu. But these days officials keep the bridge locked until about 6 am, so hiking up is now futile. Plus it’s a steep climb and it will wear you out for the later treks up Huayna Picchu, the Inca Bridge, and Sun Gate. But consider hiking down the mountain after the day is done. It will make the warm shower in Aguas Calientes all the more worth it.